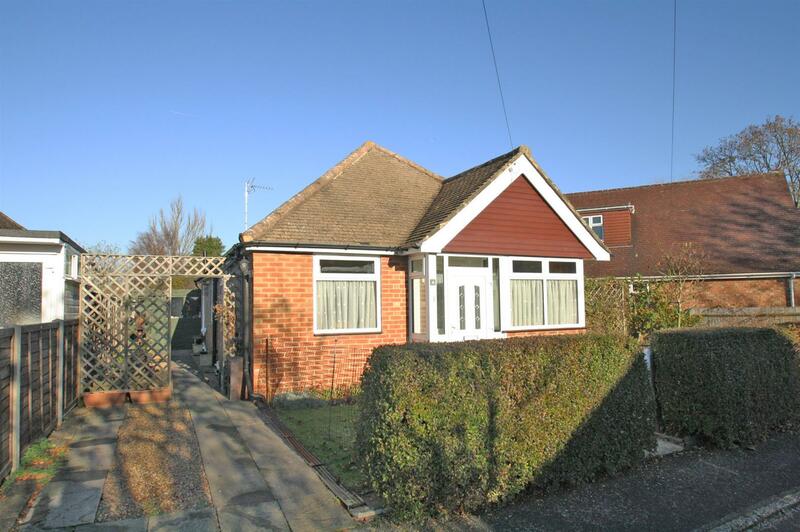 A charming detached bungalow situated on the outskirts of Guildford in the popular Rydes Hill area. 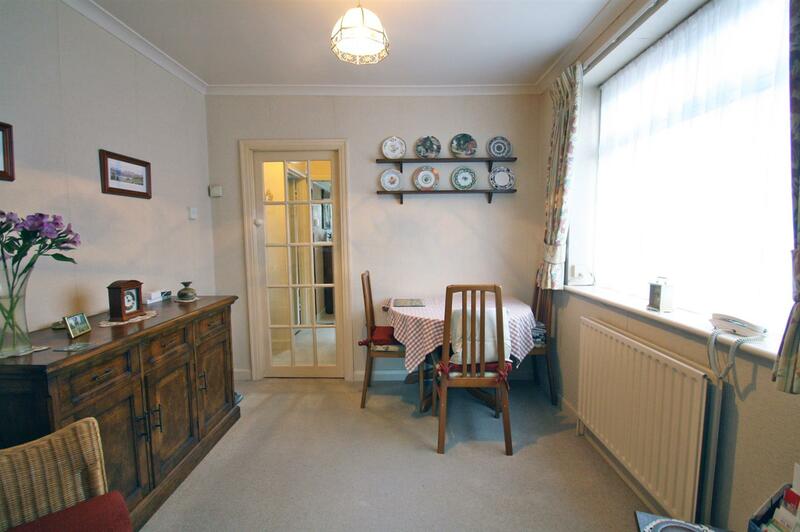 The property is conveniently located for access to local shops, schools and other amenities including bus routes to Guildford town centre with its mainline station. 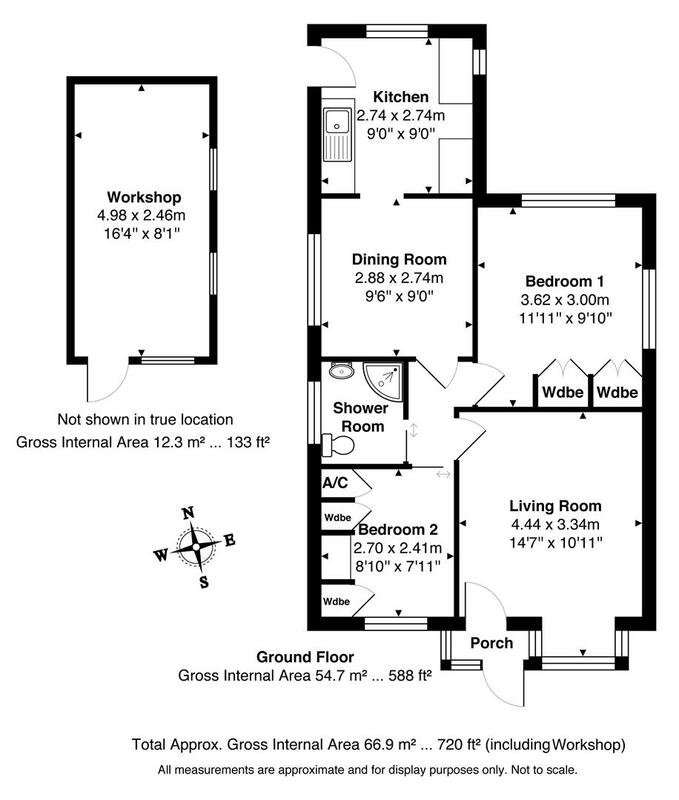 Accommodation comprises of a lounge, dining room, kitchen, two bedrooms and a shower room. Outside a driveway provides parking. 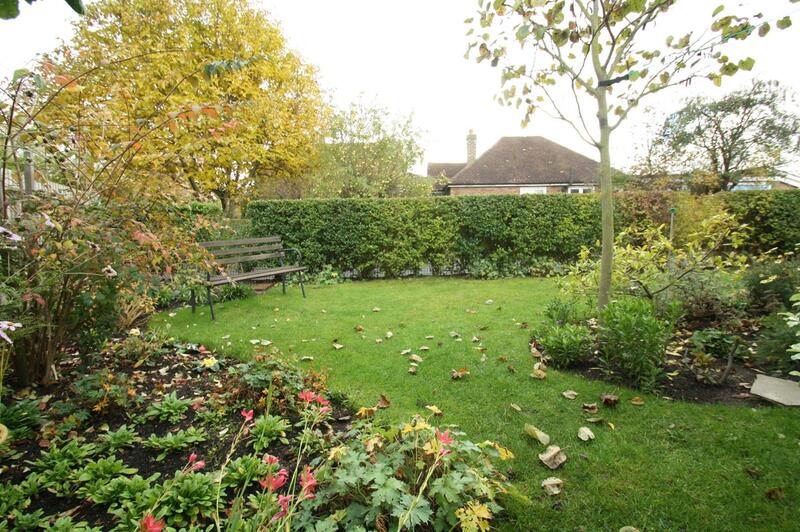 There are attractive and beautifully landscaped private front and rear gardens with many mature flowers and shrubs. Set back at the end of the driveway there is a good size workshop with power and lighting and we understand that this was formerly a garage. 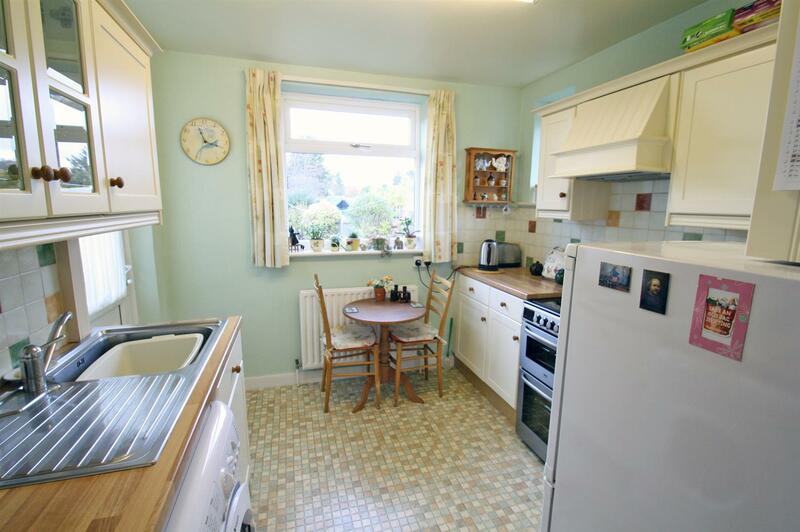 Single stainless steel sink unit with mixer tap, work top surfaces, matching eye and base level units, space for fridge/freezer, space for cooker with extractor hood above, plumbing for washing machine, part tiled walls, radiator, uPVC double glazed window and further frosted uPVC double glazed window. uPVC door giving views and access to side aspect. 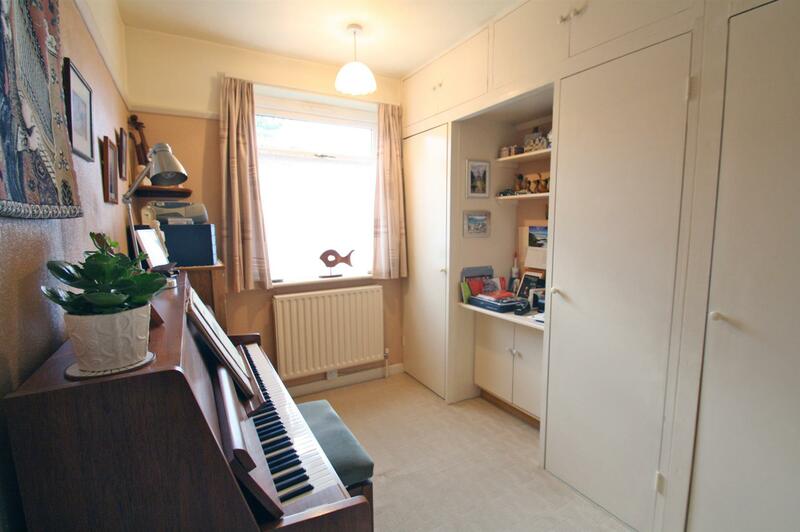 Built-in wardrobe with hanging and storage space, radiator, uPVC double glazed window. Radiator, built-in wardrobe with storage space, built-in airing cupboard with hot water tank & shelving, uPVC double glazed window. 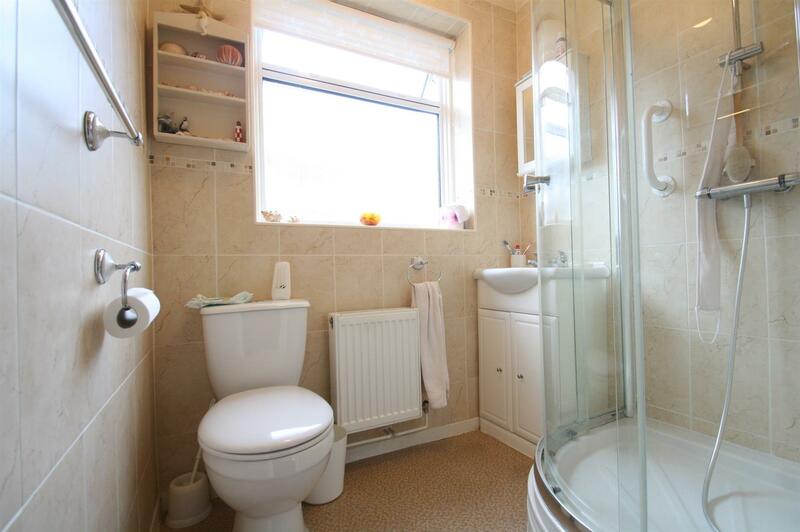 Comprising shower cubicle with tiled walls and glazed screen, low level W.C., wash hand basin set in vanity unit, part tilled walls, radiator, uPVC double glazed frosted window. 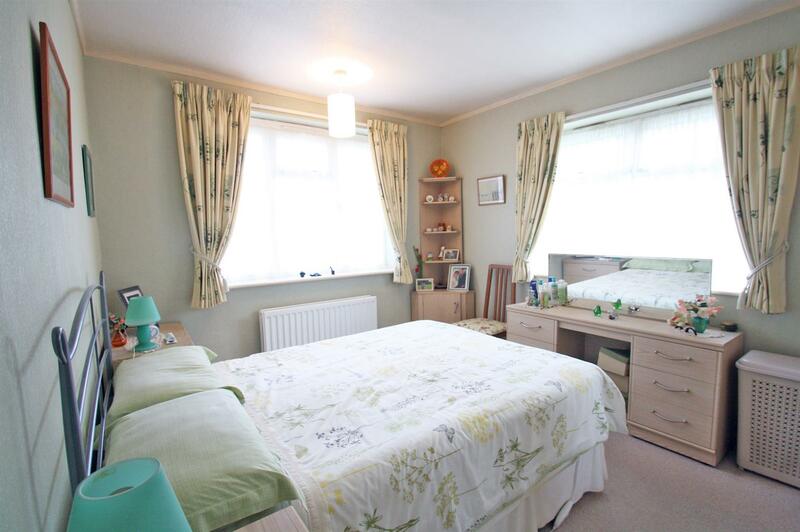 Beautifully landscaped with mature flowers and shrubs, area laid to lawn. 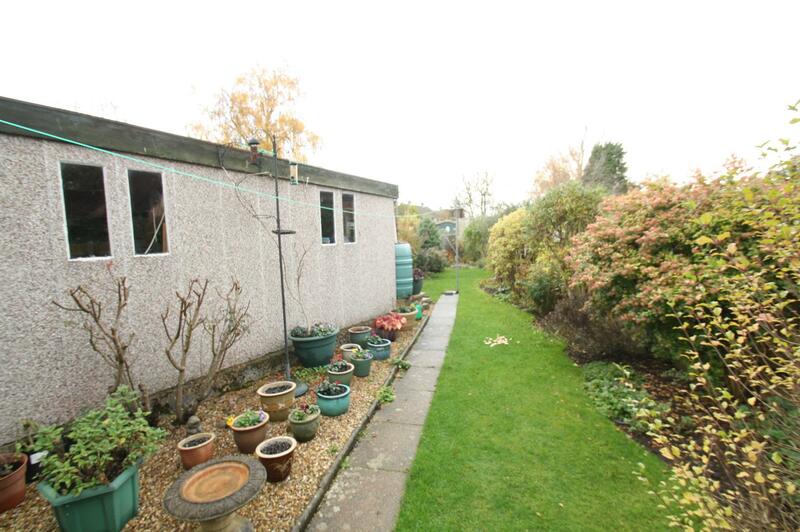 The rear garden leads to the side garden with more mature flowers and shrubs and timber framed shed. 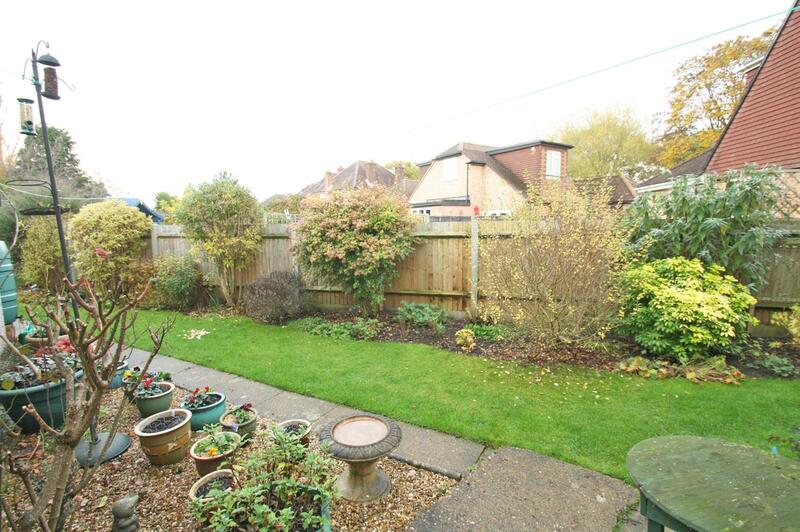 With retaining hedge, area of lawn, flowers and shrubs, driveway providing off road parking. With pedestrian door, power & light. 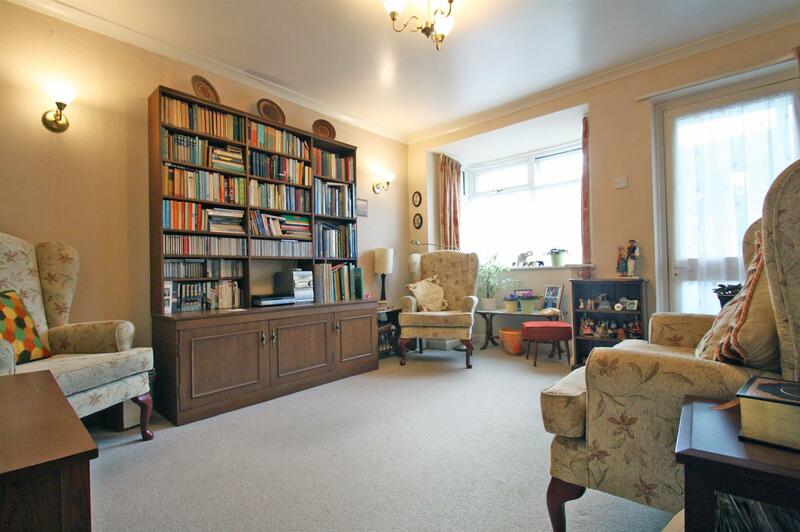 We understand this was formerly a garage.